I’m slowly but surely becoming a beets fan. Golden beets tend to be a bit sweeter and milder compared to their more “earthy” red counterparts. Roasting beets brings out their natural sweetness and tenderness. Along side peaches, balsamic vinegar and fresh thyme, this non-traditional salad is bursting with flavor — and color! With brown rice as the base, Roasted Beets & Peach Salad will be your new summer staple. Ever since moving to Boston, I really like Sweetgreen since you get a salad or bowl that’s healthy and doesn’t truly break the bank. But, I’d like Sweetgreen even more if I didn’t have to leave my apartment to grab a meal. Sometimes, you just want something a bit more instantaneous. Here’s my copycat version of the Hummus Tahina Salad — Falafel Salad with Cucumber Tahini Dressing. I bought some falafels from the freezer section, tossed in ingredients for a salad and whipped up a dressing. I liked SG’s idea of adding breadcrumbs to their salad, so I added some GF breadcrumbs to act like croutons. I also like making regular tahini dressing — raw tahini, lemon, agave and water — and modified this to be the cucumber tahini version. Almost just as easy, but this one requires a bit of blending to make the cucumbers and garlic silky smooth. Farmer’s Market finds make the perfect salad. Upgrade your salad for something fresh, different and a little bit exciting. 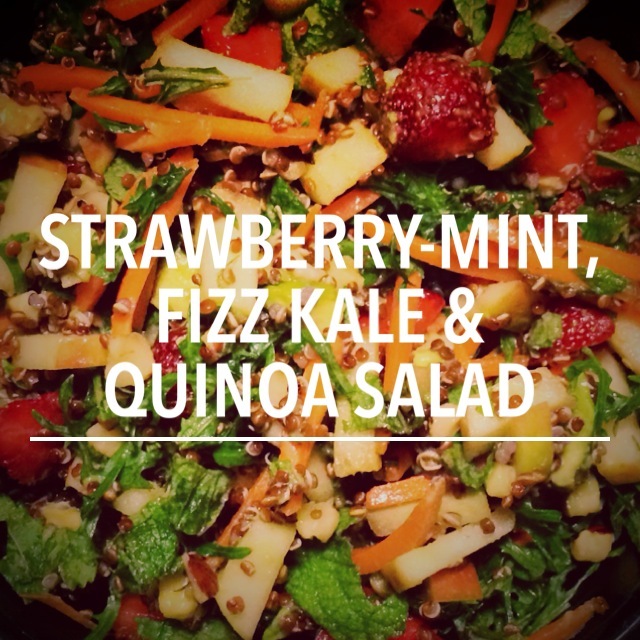 The walnuts and quinoa add crunch and texture to the salad, while the fresh mint, fizz kale, apples and strawberries add a layer of freshness and a straight-from-the-garden taste. Toss the ingredients together with some olive oil and white balsamic vinegar and viola! 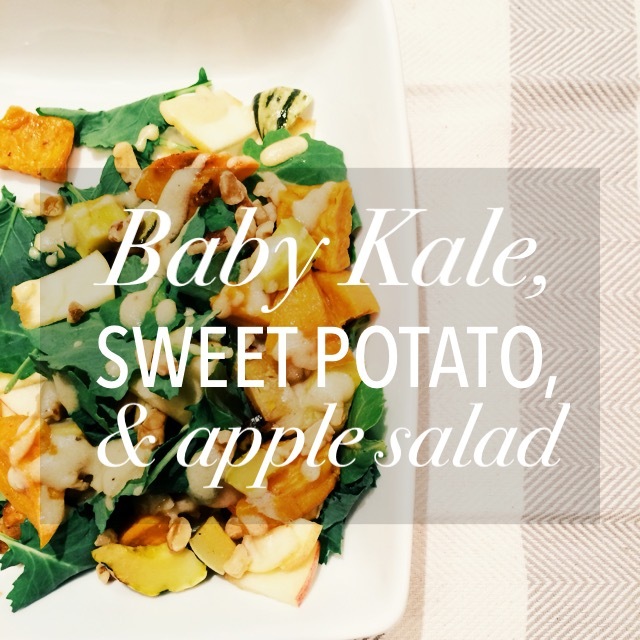 A deliciously upgraded summer salad.